Take comfort in knowing our team of licensed professionals is here to provide caregiving services that enable seniors to live independently at home. Our goal remains to deliver the thoughtful and dedicated service you and your family deserve, on a schedule that fits your needs. With 24-hour on-call assistance from our committed and experienced professionals, we are always available to bring the assistance and services you need when you need it. Our goal remains to help retain independence, dignity and quality of life, without compromise. To this end we envision family as an integral partner in our efforts. We’re here to help those clients who demand the highest standards in health care. 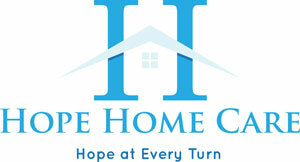 Hope Home Care continues to set new standards for excellence. We put you first, always.